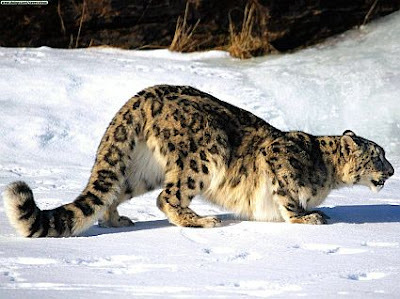 I recently saw a BBC documentary about the Snow Leopards of Chitral Gol National Park on the Pakistan-Afghanistan border. Quite what is so remarkable about these creatures I find hard to say. I'm going to bypass this problem by simply showing some photographs I found on the internet. 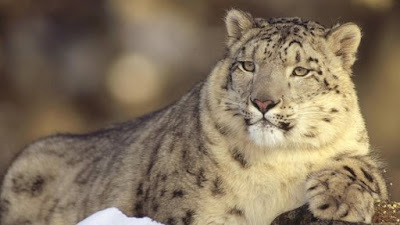 Snow leopards inhabit Central Asia from Afghanistan to Lake Baikal and eastern Tibet. Snow leopards mate between December and March and after 98-104 days of gestation, females give birth to one to five cubs (usually two or three). The cubs stay with their mothers for at least a year. 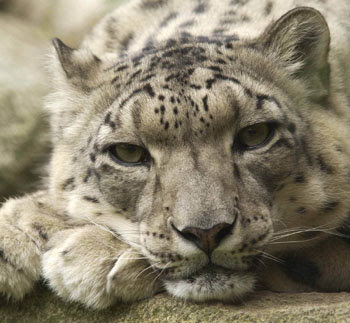 Snow leopards cannot roar which helps to separate them from the big cats. Prey is either stalked or ambushed. 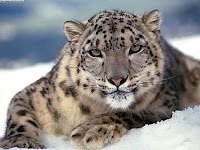 They have been recorded living in mountain steppes and coniferous forest scrub at altitudes from 2000-6000m. 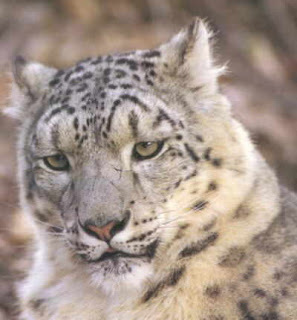 Snow leopards are crepuscular (active at dawn and dusk) and are solitary, although males and females have been known to hunt together during the breeding season.